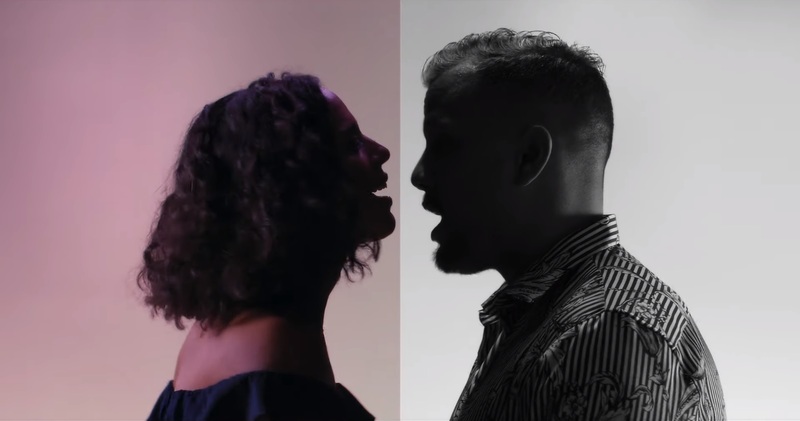 JOHNNYSWIM’s “Bridges” music video invites you in, lets you listen, and makes you feel the core of Amanda Sudano and Abner Ramirez’s artistry. 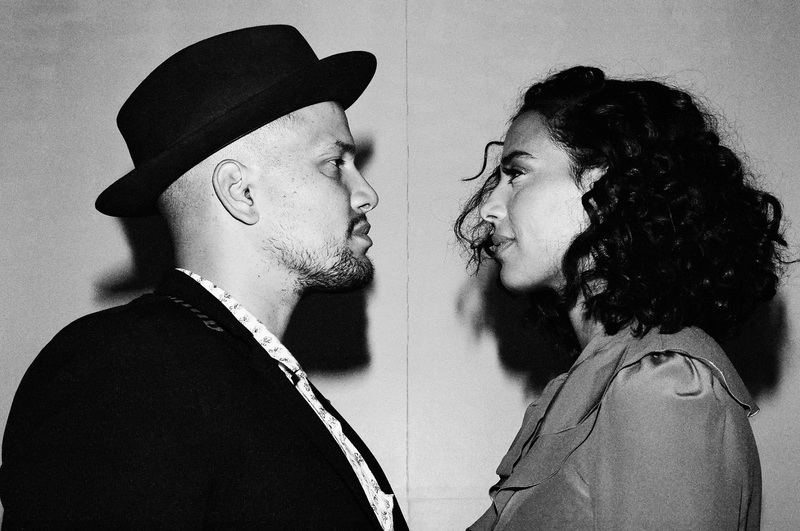 Amanda Sudano and Abner Ramirez, the duo who comprise JOHNNYSWIM, don’t just make songs; they feel them. Theirs is an intangible quality that is impossible to fake and incredibly moving, if you’re lucky enough to witness it. Every note, every beat, and every word on a JOHNNYSWIM song is put together with intention — and because of that, when you see them perform a song, you watch them feel a song. Their new single “Bridges” holds no exception to this intangibility, and its new music video does a scarily perfect job of artistically capturing it. Atwood Magazine is proud to be premiering JOHNNYSWIM’s “Bridges” music video, directed by Davey Spens. The video starts in silence, with Amanda Sudano casually walking onto a set, picking up her heals, and preparing for the take. Meanwhile, her husband Abner Ramirez, on the other side of a single sheet that separates them, inhales deeply – readying himself to sing. Slowly, they become silhouettes: With bright pink behind Amanda, and soft grey behind Abner. The strumming string of the guitar begins to pulse, inviting us into the song as Abner beings to sing. The duo come back into focus, still separated, but intertwining and overlapping more with each lyric. Amanda looks to the sky as she takes in every word Abner sings. He sings each lyric with conviction, flirting with the camera as Amanda effortlessly adds harmonies that melt into his own. They are two different people with two separate voices, but as the video illustrates, you would be hard-pressed to find a pair as in sync as these two. The first chorus breaks out, and they loosen up a bit. You’re almost watching the music and lyrics fill their souls. Can you see them feel it? In a seemingly random but wonderful moment, Amanda eats a French fry as she prepares to take on her verse. She takes a bite, takes in Abner’s last few lyrics, and prepares to sing. As calm and cool as ever, her voice carries us through to the second verse. A smile draws on her face, as if she’s enjoying these lyrics for the very first time — allowing us to fully enjoy them alongside her. Around the two-minute mark, Abner air drums along with a smart and surprising percussion element that pleasantly leads into the second chorus. With the second chorus, their movements get a little bigger, and their smiles get a little wider: They’re burning the bridges down..
As the bridge of the song (not to be confused with the metaphorical “bridge”) approaches, Amanda and Abner turn to face each other – in this moment, two are becoming one. Similar to “Diamonds” and “Drunks,” “Bridges” doesn’t shy away from the signature anthemic JOHNNYSWIM bridge. After the bridge the music dies out back to that single pulsing guitar string — the one that invited us into this world in the first place — and as Abner’s side of the screen darkens, Amanda’s becomes brighter. She sings him over to her side and they rejoice in the final chorus together, dancing, celebrating – feeling. As the song ends the camera pans out, but the duo stay locked into each other, almost unaware they’re even on film. They’re still basking in the song simply because they still feel it. 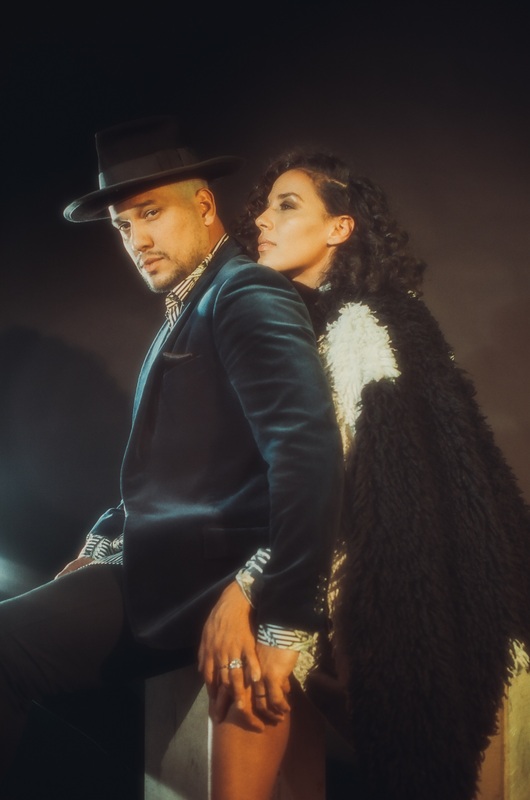 JOHNNYSWIM are authentic in a time when everyone is clamoring for authenticity. Someone else could plan to casually eat a French fry or coolly air drum along with the music to try to make it seem they are a certain way, but with Abner and Amanda, this wasn’t the case. They simply did these things because they wanted to; and doing the things that they want to do because it feels right to them, not because someone else told them to do it, is what makes JOHNNYSWIM, well, JOHNNYSWIM. It’s why they are able to consistently create music they can feel, and it’s why we’re able to feel it too. It’s why we’ll continue to listen if they continue to make. They’ve turned their passion into a life. They’ve burnt the bridges down. 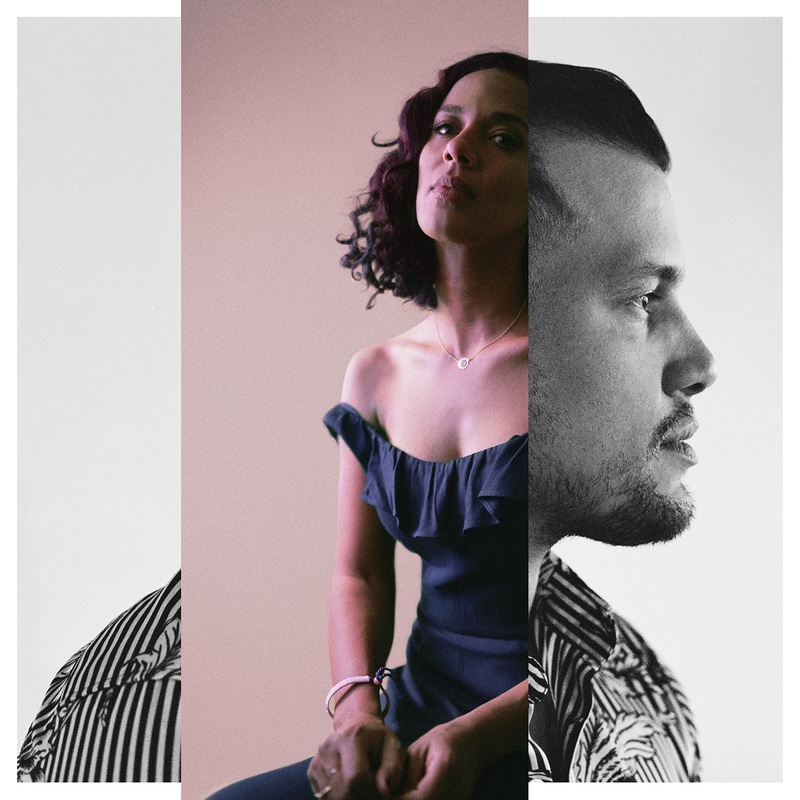 JOHNNYSWIM’s third full length album Moonlight releases on April 19th, 2019 followed by a US tour starting in May. Listen to the album, go to a show – feel the music. Stream “Bridges” exclusively on Atwood Magazine!